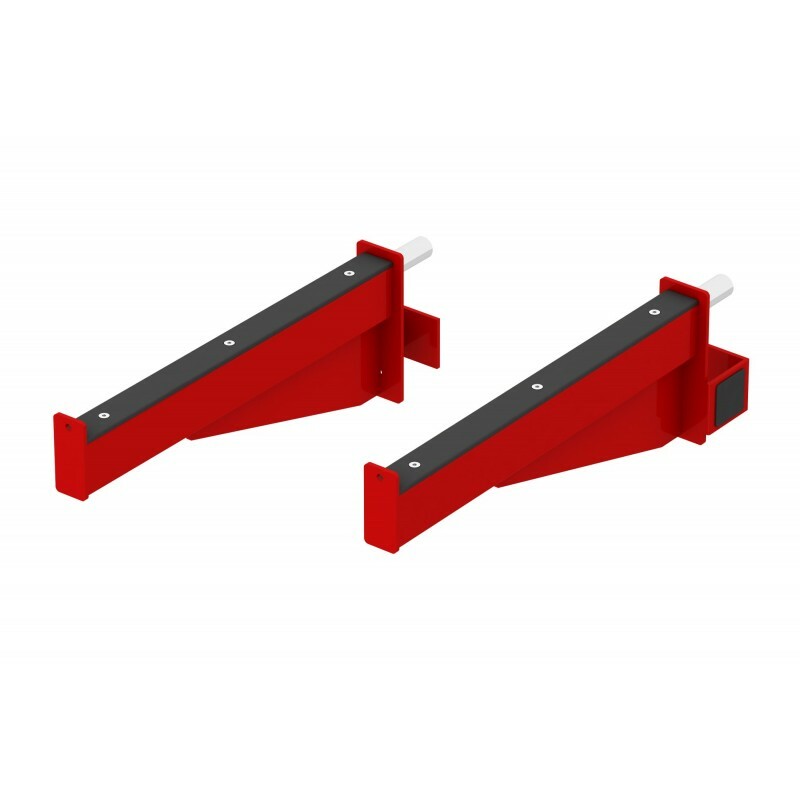 The recognizable red Pivot Fitness spotters are provided with a quality nylon insert and are easy to adjust. The spotters contain a patented magnetic charge so that they stick tightly along the uprights. This unique feature allows you to rely on Pivot as your training partner.